Join us for an exclusive presentation by Lea Verou from Fluent Conference 2012. Quick, what does this do: /(\/\*?\\/)|\/\/.*?(\r?\n|$)/g? If you're like many developers, you just averted your eyes, and your heart is now in your throat. Symptoms included sweaty palms and recurring nightmares with blood-thirsty ASCII symbols. But don't worry, this condition doesn't have to be chronic. A cure is right around the corner. As with many developers, you're familiar with the power of regular expressions, but anything beyond the basics scares the crap out of you. Fear no more young padawan! In this talk, we'll start with the basics and progressively enhance your knowledge until you're coding regular expressions like a champ. Everything will be demonstrated live with visual examples that ensure maximum comprehension. 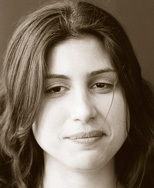 Lea works as a Developer Advocate for W3C. She has a long-standing passion for open web standards, which she fulfills by researching new ways to use them, blogging, speaking, writing, and coding popular open source projects to help fellow developers. She is a member of the CSS Working Group, which architects the language itself. Lea studied Computer Science in Athens University of Economics and Business, where she co-organized and occasionally lectured a cutting edge Web development course for 4th year undergrads. She is one of the few misfits who love code and design equally.